Mess Hall Canteen is like a rolling fortress, serving hungry meat-lovers across Southern California. Now, Mess Hall is gearing up for one of its most rigorous battles yet – Hansen’s Fresh Coat Mural Fest happening in DTLA’s Arts District on October 7. Later, Mess Hall will be slinging at OOZEFEST 3, FOODBEAST’s third annual premiere Southern California Cheese Festival on October 14. However, don’t think for one second that Mess Hall isn’t bringing heavy artillery to these culinary showdowns. If there’s one thing you should know about the purveyors of Giant BBQ Meat Shanks, it’s that they nothing they do is small. So, in true oozey fashion, Mess Hall has reimagined a Hot Pocket, but in the cheesiest way possible. 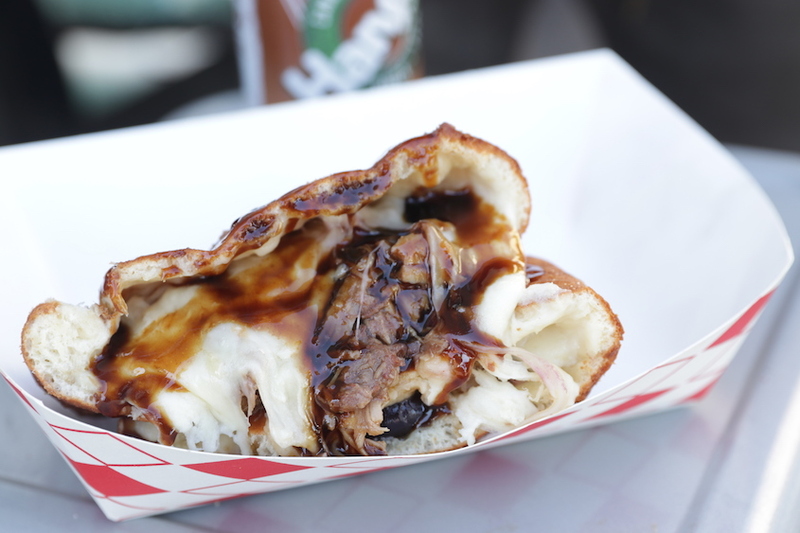 Mess Hall’s Hansen’s Natural Soda Root Beer Glaze Hot Pokket is stuffed with Hansen's root beer glazed pulled pork, aligot potatoes, and pickled cherries all stuffed inside a deep fried dough roll. 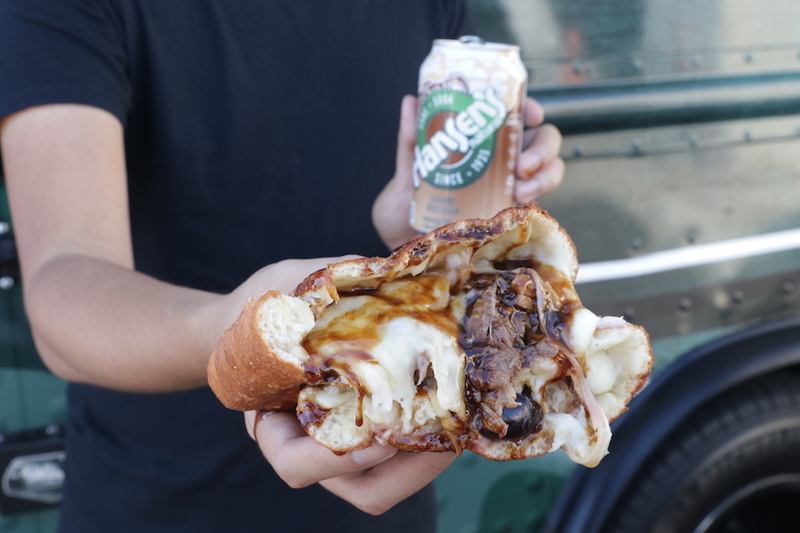 To make this dish even more unique, Mess Hall is serving it with a side of Hansen's root beer glaze to dip in. So, if you’re ready to battle with Mess Hall, we’ll see you at Hansen’s Fresh Coat Mural Fest, and OOZEFEST 3!